All Of Our Products Are Made With Love, Tested And Approved From Start To Finish By My Daughters Brittanty, Caitlin, and Richelle. 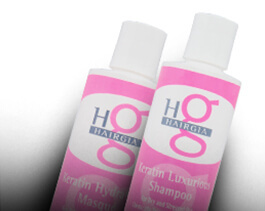 Have fun reading the bottle and savor the product that has been designed just for you and your hair! To show our commitment, our logo is dedicated to all the hair stylists of the world, without whom none of this would be possible. 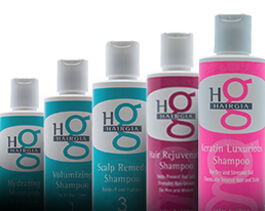 The upper part of the “g” signifies the handle of the haircutting shear, the bottom of the “g” signifies the strand of hair which the hair stylists have dedicated their lives. The “H” signifies the hair stylists hands: without the two together we are nothing as we have dedicated our lives to the hairdressers.